That’s a wrap! Thank you to the many volunteers, entrants and visitors who made this year’s Brightlingsea Christmas Tree Festival a huge success. The results of the voting will be posted here once the count is complete but in the meantime please keep sending us your lovely photos of the weekend. Don’t forget, if you still need to collect your tree the church will be open today (Monday) from 9-11.30am. Trees not collected by midday will be donated to charity or disposed of. This weekend’s Festival will conclude with a wonderful family carol singalong led by Chris Bloor. This well loved and widely anticipated event brings families and friends together to sing a delightful selection of festive music and close the Brightlingsea Christmas Tree Festival in true style. The carols start at 6pm. Tickets not required – open to all with general admission. 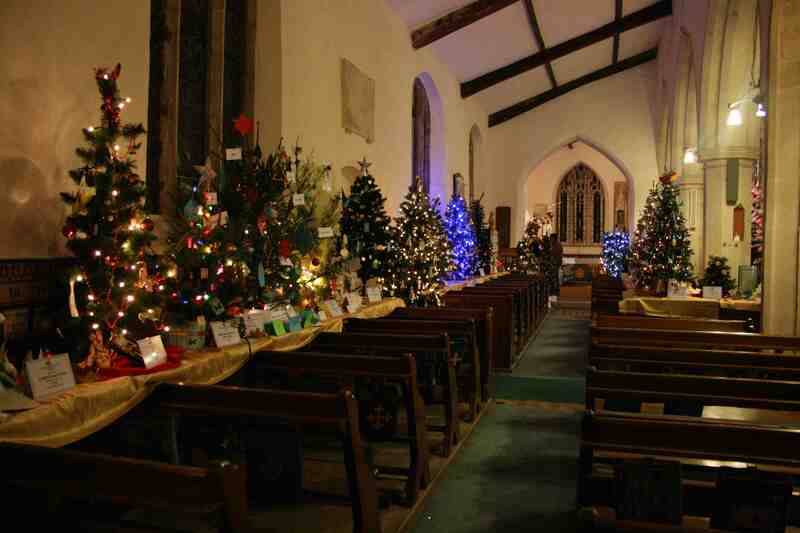 Brightlingsea Christmas Tree Festival is not only a festive celebration to mark the coming of Christmas but it is also a vital fundraising event in support of Brightlingsea’s historic churches – St James’ Church in the High Street which was consecrated in 1836, and the 12th century All Saints’ Church. In addition, each year an official Charity is selected who submit a tree for the Festival and use it to raise funds for their cause. In 2018 the official charity is Porridge & Pens who provide food and education for some of the poorest children Ghana through their Brightlingsea School, Girl Power and Fruit Drop projects.